Anchor: The prosecution has pressed charges against former Supreme Court Chief Justice Yang Sung-tae for his alleged involvement in a massive judicial power abuse scandal. The latest development comes after prosecutors first launched investigations eight months ago. Our Bae Joo-yon has the details. 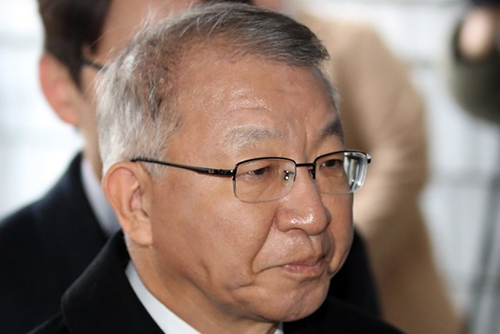 Report: The Seoul Central District Prosecutors' Office on Monday indicted former Supreme Court Chief Justice Yang Sung-tae on 47 charges, including abuse of power, dereliction of duty, and fabricating official documents. Yang is the first former chief of South Korea’s top court to have been arrested as a suspect and to face a criminal trial. He is accused of instructing officials at the National Court Administration(NCA), the top court’s governing body, to interfere in high-profile trials in order to use them as leverage to lobby the office of then President Park Geun-hye to get her approval for the establishment of a separate court of appeals. 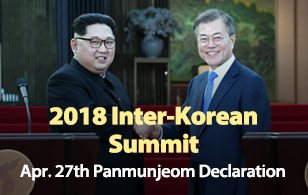 Such high-profile trials included civil suits filed by victims of forced labor for Japanese firms during World War Two seeking compensation and a trial during which the Korean Teachers and Education Workers Union(KTU) sought to be recognized as a legitimate labor group. Yang is also accused of drawing up a blacklist of judges and raising 350 million won in slush funds. Yang is said to have denied most of the charges against him, telling prosecutors that he did not have knowledge about the actions in question and that working-level staff were involved. Also on Monday, prosecutors indicted two retired justices Park Byong-dae and Ko Young-han, who led the NCA when Yang was chief justice. Prosecutors believe Park and Ko both colluded with Yang in most of the high-profile cases. For Lim Jong-hun, a former NCA deputy head, who is already facing about 30 charges, prosecutors additionally indicted him for his involvement in creating the judges’ blacklist. With the key indictments on Monday, the prosecution plans to wrap up its probe on the judicial power abuse scandal which was launched about eight months ago. Prosecutors will decide how many of some 100 former and incumbent judges they questioned will face indictment and inform the Supreme Court of their decision.